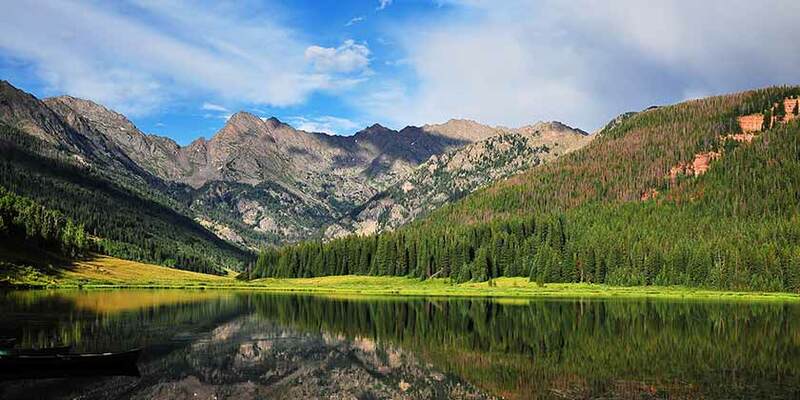 Named for its famed Vail Ski Resort, the town of Vail, Colorado, brings a combination of perfect ski conditions and pleasantly cool summers for year-round fun. Vail Mountain’s 5,289 acres for skiing, with 193 trails and 33 lifts, cater to every experience level. Planned to resemble a charming European ski town, Vail offers plenty of opportunity to stroll its streets, shopping or attending music, dance, and art exhibitions and festivals. Catch a ride on the nation’s biggest free shuttle system to take in the Betty Ford Alpine Gardens, Colorado Ski & Snowboard Museum, or one of Vail’s fabulous restaurants. While skiing is the main attraction, a Vail vacation offers amazing natural experiences, from mountain hiking to fishing.